Tivoli Village at Queensridge in Summerlin real estate adds retailers to their shopping center. Despite the economic conditions this mixed use real estate in Queensridge continues unlike other high profile developments including Echelon Resort, Summerlin Center and Crown Las Vegas hotel. This week new retail tenants were announced for Tivoli Village at Queensridge. Retailers Townsend and Tres Agaves Mexican Kitchen & Tequila Lounge, based in San Francisco, CA, were announced this week. Townsend is a wine lounge and restaurant from San Francisco. The Las Vegas developers changed the name to Townsend so there isn’t confusion with The District at Green Valley Ranch in Henderson, NV. Tres Agaves is an upscale restaurant that serves food inspired by fare from Jalisco, Mexico. Do you enjoy tequila? They serve a wide selection of tequila and margaritas with agave nectar. Other commercial tenants include Ritual Spa & Salon and Martin Yan’s 9 Dragons. Ritual Spa & Salon will be the second location in Las Vegas. Customers have raved about the Ritual experience. The chef and host of Yan Can Cook TV show on PBS will open his first business in Las Vegas named Martin Yan’s 9 Dragons. 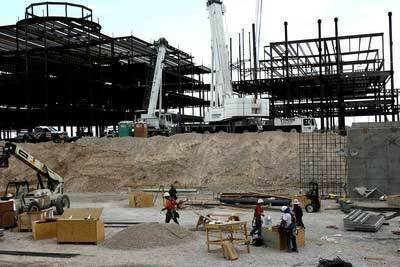 The shopping mall at Tivoli Village will be similar to Town Square Las Vegas with office space, too. Other tenants named for the fall 2009 opening are the Grand Lux Café, BCBG, Gold Class Cinemas and Cohiba Cigar. Call 702-505-6988 for VIP real estate mls search with a real estate broker.